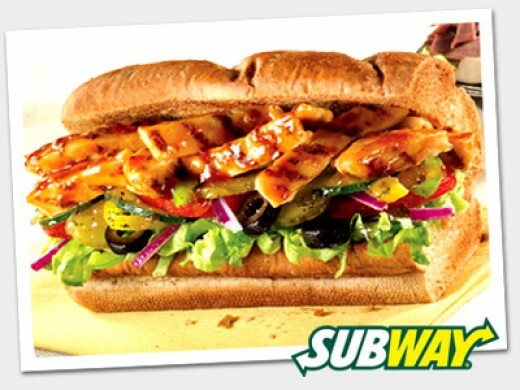 Subway's Sweet Onion Chicken Teriyaki Sandwich is one of the chains biggest selling subs. The sandwich is made with very common ingredients like Teriyaki glazed chicken breast strips, onions, lettuce, tomatoes, and your choice of other veggies. What sets this sub apart from the others in the Sweet Onion Sauce which you can make at home using this restaurant copycat recipe. Marinate a boneless skinless chicken breast in Lawry's Teriyaki marinade for at least 30 minutes in the refrigerator. Cook the chicken on a George Foreman grill or stove top grill pan. Allow to rest to seal in the flavors. Combine all the ingredients into a small microwave bowl. Heat in microwave for 1 -2 minutes until the mixture boils. Stir well, cover and let cool. Slice chicken breast into strips. Place on a sub roll or fresh French or Italian bread from the bakery. Add lettuce, tomatoes, onions and any other vegetables that you like. Pour the Sweet Onion sauce over the chicken and vegetables.